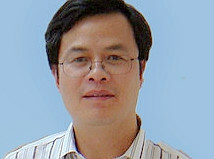 Jiang Shixue is a Senior Research Fellow of the Chinese Academy of Social Sciences. He is also Distinguished Professor of the Shanghai University, Sichuan International Studies University and City University of Macau; and Guest Professor of the Macau University of Sciences and Technology, and Anhui University. He is Vice President of the China Society of the Emerging Economies, and Advisor to both the Chinese Association of Latin American Studies and the Chinese Association of Latin American History Studies. His research fields cover Chinese foreign policies, global governance, Latin America, Europe, BRICS, emerging economies, etc. He can be reached at: t: jiangsx@cass.org.cn or or or jiangshixue@126.com. China tries to give a hand as the euro zone struggles on the verge of collapse. Greece now faces the tough choice of meeting targeted fiscal cuts for more bailout funds. But it, on a knife's edge though, will possibly remain in the euro zone. Institutionalization of the BRICS is a logical step towards meeting the shared goals of the developing world. China's poser: passive or aggressive? China's assumption of greater responsibility on the world stage should take the form of active participation in global affairs and confident defense of its national interest. China's ten years of WTO membership have allowed China-EU economic relations to blossom, despite recurring trade disputes. China promises to improve the pertinence and effectiveness of its foreign aid and further increase recipient countries' capacity in pursuing independent development. The key to a successful and rapid solution of any economic disaster is in the hands of the very countries affected by the disaster. Huang Nubo might be a symbol of increased Chinese foreign investment, but that doesn't mean the world should be afraid. The Chinese Panda and the French Rooster should understand each other, respect each other, hug each other and love each other. Despite its inherent shortcomings, the Euro will not be allowed to collapse because it costs economically and politically in doing so.